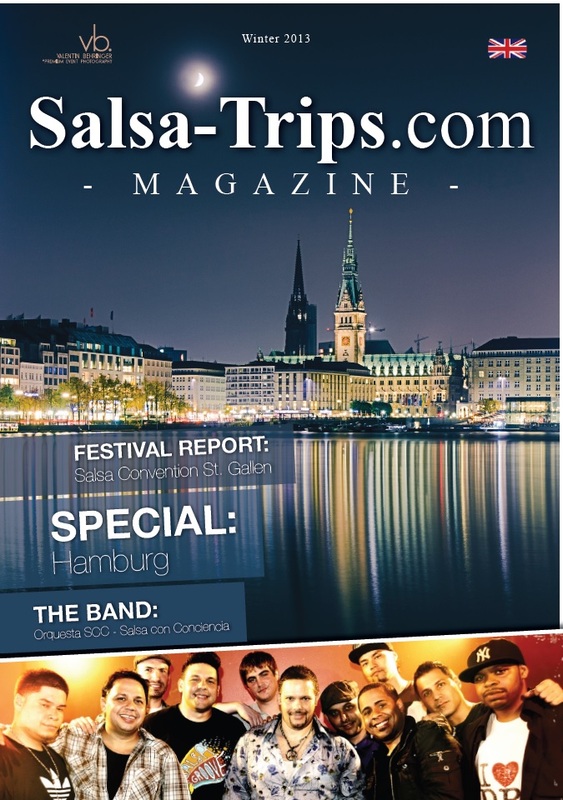 WELCOME TO THE 7TH EDITION OF THE SALSA-TRIPS.COM MAGAZINE – WINTER 2014 -From Düsseldorf we travel further northward to the free and Hanseatic City of Hamburg, a true metropolis and “gate to the world“. Read our story and plan your trip to Hamburg at any time of a year or connect it with the Hamburg Salsa Festival by the end of July. With “Salsa-Trips” you will get 10% discount on the tickets. This edition also gives you some background about Orquesta SSC, an eleven piece salsa band, formed by former La Excelencia core members. Browsing our magazine, you will find the report about the Salsa Convention St. Gallen, which we recommend to join in September. New colors and with an additional page, but up-to-date as usual – our DJs’ pages and the Event Manager. Enjoy!